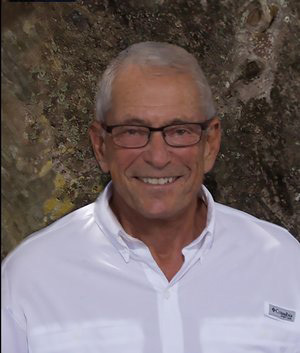 Kenneth D. Rosen, CCIM, is a successful Realtor, real estate investor, author, educator, condo conversion pioneer, prominent member of the South Florida real estate industry, and civic activist. Since 1975, Ken, who is the founder and president of Kendar Realty, Inc., has bought and sold over $500 million worth of investment property, including office buildings, apartment complexes, retail centers,, industrial buildings, and land. He shared the lessons he learned in his latest book, Investing in Income Properties: The Big Six Formula for Achieving Wealth in Real Estate Second Edition, published by John Wiley & Sons and released in April, 2017. From the mid-1970s through the mid-1980s, Ken stepped into what then was uncharted territory: the conversion of rental apartments to condominiums. He converted 1,700 units in 22 apartment complexes to become the state of Florida’s leader in that area. He is the author of Condominium Conversions: Ken Rosen’s Success Formula for Big Profits. Ken served two terms as president of the Miami Association of Realtors and is the recipient of several awards, including “Realtor of the Year.”He also served as Chairman of the South Florida Council of Realtor boards. Over the past 40 years he has conducted over 150 seminars on commercial real estate. He was the driving force behind the formation of the Jerome Bain Institute at Florida International University. In the late 1970’s Ken led the fight, along with several colleagues and the help of The Florida Association of Realtors and the National Association of Realtors, to defeat rent control in Florida. In 2003, the Florida Association of Realtors named him a “Hometown Hero” for his volunteer work as a guardian ad litem for neglected, abused, and abandoned children. In his spare time, Ken sails and is a volunteer skipper with Shake-a Leg of Miami, an organization through which children with disabilities can learn to sail on Biscayne Bay. He is a graduate of Boston University, a 32nd degree Mason, past master of his Masonic Lodge, and a Shriner. Ken is married to Ellen Kempler and has seven children and five grandchildren.